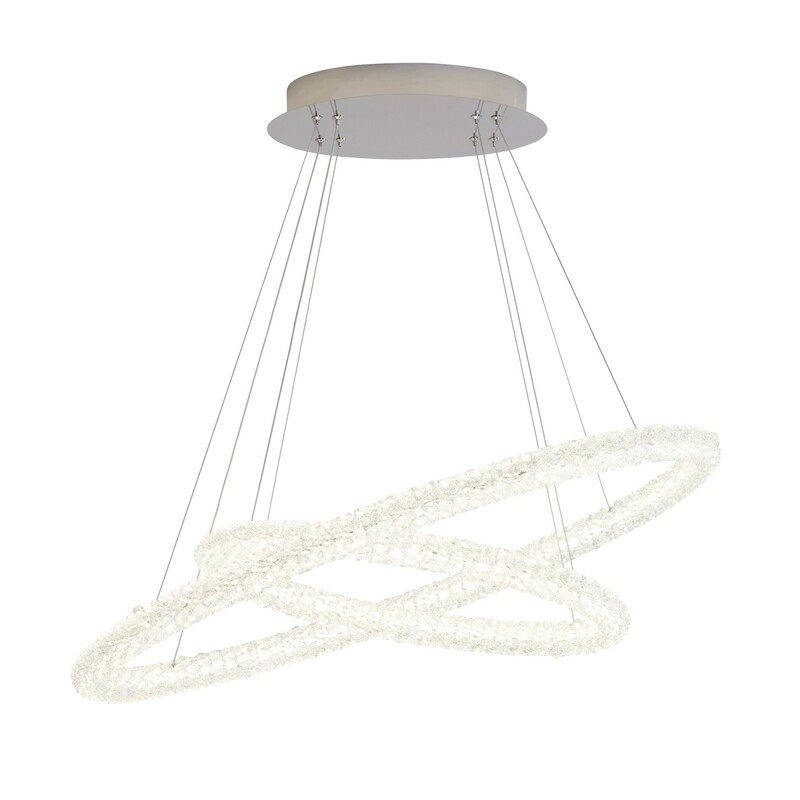 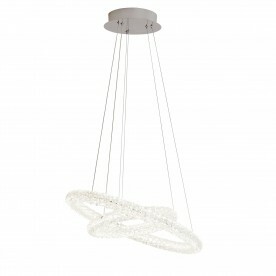 This ring ceiling pendant will bring elegance to your home with its sophisticated design. 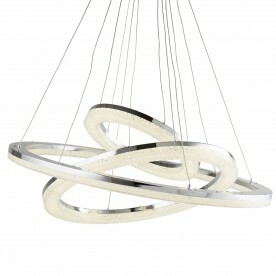 Two interlinked rings embellished with clear crystal detail suspend from a classic chrome base. Ideal as the centrepiece for any high ceiling.